Everything you ever wanted to know about our products. And some stuff you never knew you wanted to know, too! What makes Glee Gum special? Glee Gum is natural chewing gum made without preservatives, artificial flavorings, colorings, or sweeteners (no aspartame). It is one of the only Non-GMO Project Verified gums on the market, with 6 classic flavors that are also the only Non-GMO gum. Plus, Glee Gum has the distinction of using natural chicle in its gum base. Using chicle helps sustain the rainforest! Why is it good for a product to be natural? We believe that the best food is made using a minimum of processing and without chemical pesticides or additives—the way food used to be. Multiple recent studies have linked disturbing side effects and long-term health problems to the consumption of artificial additives and sugar substitutes like aspartame. We’d rather play it safe than gamble with our health! Does Glee Gum taste like other gum? In a word, no. You may find Glee a bit stickier than conventional gum, due to the naturally sticky tree sap that gives it texture. Chewing two pieces at a time helps! The flavor may fade a little quicker too. That’s because Glee is made without all the artificial additives, enhancers, sweeteners, and preservatives used in mainstream gum. We think it’s healthier to skip that stuff. We thank you for giving Glee a chance and a chew. We believe it’s the better choice, and we hope you do, too! Chicle is the sap from the sapodilla (pronounced “sap-oh-dee-yah”) tree, which grows in the rainforests of Central America. Chicle was the original basis for all chewing gum, until synthetic gum bases were developed. By using chicle in our gum base, we support chicleros, the workers who tap trees for chicle. We also create an ongoing use for sapodilla trees, which otherwise have economic value only as lumber. Read more. What flavors does Glee Gum come in? Currently, we carry Tangerine, Peppermint, Cinnamon, Spearmint, Bubblegum, Mixed Berry, Sugar-Free Peppermint, Sugar-Free Lemon-Lime, Sugar-Free Watermelon, Sugar-Free Bubblegum, and Sugar-Free Wintergreen flavors. Got a great idea for a new gum flavor? Email info@gleegum.com about it! Is Glee Gum gluten free? Yes, Glee Gum contains no gluten. Glee Gum is safe for people with celiac disease and any other wheat and gluten intolerances. Is Glee Gum corn free? No, we do not consider Glee Gum to be corn-free. But rest assured that when corn is present, it is non-GMO. Are any of Glee Gum's ingredients tested on animals? Is Glee Gum safe for people with food allergies? Glee Gum does not contain any of the eight major food allergens: milk, egg, fish, Crustacean shellfish, tree nuts, wheat, peanuts, or soybeans. However, soy is present in the facility where Glee Gum is made. Glee Gum is also non-GMO. Ingredient info can be found on each product page. For allergen information related to our Glee Gum Pops and Make Your Own Candy Kits, please see the related questions below. If you have any additional questions related to allergens, please email us at info@gleegum.com. Is the chicle in Glee Gum safe for people with latex allergies? Yes, Glee Gum is safe for individuals with latex allergies. Although chicle is similar to latex, chicle is derived from the Manilkara sapota (sapodilla) tree. Latex comes from the H. brasiliensis tree. People with latex allergies are allergic to the proteins of the H. brasiliensis tree, so they should have no problem with chicle. For allergen information related to our Make Your Own Candy Kits (one of which does contain latex), please see the related question below. 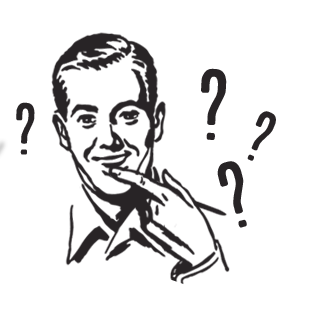 If you have any additional questions related to allergens, please email us at info@gleegum.com. Gum base is the indigestible part of gum that gives it chewy texture– the part you discard after chewing. Most gum base is made of entirely synthetic materials. But, the gum base in our products is 100% natural. In Glee Gum and Glee Gum Pops, the gum base is made predominantly of the tree sap chicle with just three additional, natural ingredients: calcium carbonate, candelilla wax, and a pinch of dehydrated citrus peels. Our Make Your Own Chewing Gum Kit, Refill Kit, and Gum Base by the Pound contain a different gum base made with natural rubber latex, harvested sustainably from rainforest rubber trees. Read more about gum base. Which citrus peels are in Glee Gum's gum base? In Glee Gum’s gum base, the dehydrated citrus peels used are orange, lemon, and grapefruit peels. That said, citrus peels comprise less than 1% of the gum base recipe, and the gum base itself makes up just part of our chewing gum recipe. So, the peels are present in a very small amount. For anyone with allergies, however, we defer to your judgment and that of your doctor or allergist in terms of consumption. We also invite you to check out the alternate gum base used in our Gum Base by the Lb., Refill Kit, and Make Your Own Chewing Gum Kits, too, in case it suits your needs and preferences better. Thanks! Resinous glaze is an all-natural resin harvested from the secretions of the lac beetle (it is also sometimes referred to as the lac insect). It is similar to beeswax, safe to eat, and fine for vegetarians. This wax is an exudate from the pores of leaves of the Brazilian wax palm tree, Copernicia cerifera. It is a resin from the acacia tree. Xylitol is a sugar alcohol derived from birch and beech bark. It is the all-natural sweetener that we use in our Sugar-Free Glee Gum. Xylitol is found naturally in the fibers of fruits and veggies like corn, raspberries and plums. It can help benefit dental health, and it is a safe alternative sweetener for many folks on restricted diets. However, xylitol is not safe for dogs. So, no matter how much they beg, please do not give your pooch a piece! Sources of xylitol and methods for its extraction differ. The xylitol used in Sugar-Free Glee Gum is a wood sugar, derived from American birch and beech trees. The chemical name is D-Xylose, a natural 5-carbon sugar (pentose) obtained from the xylan-rich portion of hemicellulose, present in plant cell walls and fiber. To make the crystalline xylitol used in Glee Gum from D-Xylose, the steps are as follows: filtration, hydrogenation, evaporation, and crystallization. The xylitol used in Glee Gum is kosher, non-GMO, and allergy-friendly. It is not derived from corn. Our supplier’s integration process of xylitol extraction is 84-99% less impactful to the environment than is the conventional method of xylitol production known as Biomass Hydrolysis Process (BHP). Our supplier’s process makes the carbon footprint 90% lower, uses 85% less energy, and has 94% less impact on toxicity of land, 99% less impact on toxicity of water, and 86% less impact on ozone layer depletion. How much xylitol is in Sugar-Free Glee Gum? Sugar-Free Glee Gum contains approximately 0.8 grams of xylitol per piece, or 1.6 – 2 grams per serving (two pieces). Enjoying four servings of Sugar-Free Glee Gum a day maximizes the benefits of xylitol for dental health. What should I do if my dog accidentally ingests my sugar-free gum? Xylitol, the sweetener used in Sugar-Free Glee Gum, is not safe for dogs. We strongly recommend keeping & storing all chewing gum out of the reach of canines (the same way you do chocolate). If your dog somehow manages to break into your xylitol gum stash, please call your veterinarian and/or the ASPCA Animal Poison Control Center’s 24-hour diagnostic & treatment hotline at 888-426-4435 as soon as possible. Please be aware that xylitol can be found in other products too, including some candy, mints, vitamins, mouthwash, toothpaste, peanut butter, and more. Keep your eyes peeled for it on ingredient lists, and protect your pooch! Read more. Are any of your products acceptable for the Feingold Diet? Yes! All 9 flavors of Glee Gum and all 3 flavors of Glee Gum Pops are Feingold Diet-accepted and suitable for Feingold Diet Stage 2. Is Glee Gum made in the United States? Yes, we proud to say that Glee Gum is made in the USA! Do any of your ingredients come from China? Do any of your flavorings contain MSG? What are the "natural flavors" in your gum? Glee Gum’s flavors are derived from the ingredients they are named for. For example, Glee’s Wild Watermelon flavor comes from watermelon, Glee’s Peppermint from peppermint, and so on. One exception is our bubblegum flavor, which is derived from cherry, strawberry, lemon, and vanilla. (Surprising, huh?) The process of extracting natural flavors varies, but we can assure you that all our natural flavors are FDA-approved, non-GMO, and very tasty. Glee Gum does not contain artificial sweeteners like aspartame, because we believe they may cause negative side effects. Here are a few articles on the subject: Article 1 & Article 2. Yes, all flavors of Glee Gum are Non-GMO Project Verified. GMOs, or “genetically modified organisms,” are plants or animals that have been genetically engineered with DNA from bacteria, viruses, and other animals and plants. We believe GMOs to be safe, but also understand that they are still being researched. And, we appreciate that some of our customers prefer to avoid them. Verification signifies that all flavors of Glee Gum have been produced in compliance with the Non-GMO Project Standard— following rigorous best practices for the avoidance of genetically modified organisms, including segregation and traceability to prevent contamination. Learn more at NonGMOProject.org. Are any of your products certified kosher? Yes, all flavors of Glee Gum, Glee Gum Pops, and Glee Tarts are certified kosher and pareve by the International Kosher Council. Read more. Yes, we offer volume discounts on the Make Your Own Candy Kits for schools, educational groups, scout troops, and select non-profit organizations. Please contact info@gleegum.com for an estimate. Do you sell loose Glee Gum (without packaging)? Yes, we sell Glee Gum in bulk, loose, by the pound. It comes in Sugar-Free flavors and in Classic flavors. Which retail stores near me carry Glee Gum? Visit our store locator to find retail stores that currently carry Glee Gum. We recommend that you CALL FIRST to ensure that the gum is in stock. If there is a store near you that you think would be a great match for our Glee Gum, please email us about it at info@gleegum.com! Whom do I contact if I want to sell Glee Gum and/ or Make Your Own Candy Kits? 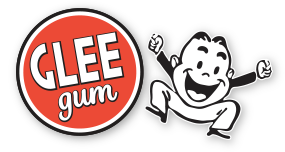 For wholesale pricing and minimum quantity info, please email us at info@gleegum.com or fill out the brief questionnaire on our Retailers page. Glee Gum is also available through a number of distributors, including but not limited to: United Natural Foods (UNFI), KeHE/ Tree of Life/ Nature’s Best, First Source, and Island Natural, as well as Canadian distributors like Big Ups, PSC Natural Foods, Horizon, Heart Smart, and Puresource. For a full list, please contact us. Are your Glee Gum Pops safe for people with food allergies? Yes, Glee Gum Pops are allergy-friendly, gluten-free, and vegan. They are also suitable for Feingold Diet Stage 2. Glee Gum Pops do not contain any of the eight major food allergens: milk, egg, fish, crustacean shellfish, tree nuts, wheat, peanuts, or soybeans. Milk, peanuts, and wheat are present in other products not processed in the facility, but sometimes stored in the same warehouse. Glee Gum Pops are made in Mexico. The glucose in Glee Gum Pops is derived from corn. As in Glee Gum, the gum base in the pops is safe for those with latex allergies to eat. For those concerned about annatto, this ingredient is only used in one flavor of pops: Juicy Orange. The ingredients in the pops are natural. However, some of them may not yet be non-GMO. We are working on achieving Non-GMO Project Verification for Glee Gum Pops. If you have any additional questions related to allergens, please email us at info@gleegum.com. Are any of your kits Non-GMO? Yes, the Make Your Own Chocolate Kit contains Non-GMO cocoa butter and cocoa powder, and the Make Your Own Gummies Kit contains sugar out of Non-GMO sugar cane. Are your Make Your Own Candy Kits safe for people with food allergies? The Make Your Own Chewing Gum Kit contains natural rubber, soy, and corn. (Please note that the natural rubber is different from the chicle used in Glee Gum and Glee Gum Pops. Unlike those products, it is not suitable for those with latex sensitivities.) The Make Your Own Gummies Kit contains corn. The Make Your Own Chocolate Kit contains dairy and soy. The Make Your Own Candy Kits do not contain egg, seafood, shellfish, tree nuts, wheat, or peanuts. Some ingredients in the kits are processed in facilities that also process milk, egg, tree nuts, wheat, peanuts, and soybeans. The ingredients in the kits are natural. However, some of them may not yet be non-GMO. If you have any additional questions related to allergens, please email us at info@gleegum.com. Can I see how the Make Your Own Candy Kits work? Sure! Our pals at the Lucky Penny Shop have made popular videos showing how each of the Make Your Own Candy Kits work. We invite you to check them out! Watch the Make Your Own Chewing Gum Kit in action. Watch the Make Your Own Gummies Kit in action. Watch the Make Your Own Chocolate Kit in action. Can I improvise on the Make Your Own Candy Kits? Can I make my own flavors and additions? Absolutely! We’re always advising folks to get creative. With the Gummies Kits, you can make your own molds using spoons, cookie cutters, magnets, and more. With the Chocolate Kits, you can add marshmallows, peanut butter, nuts, fruit, raisins, etc.—anything yummy from the pantry! And though the Gum Kits come with 2 ready flavors, you can make your own flavors by using any powdered flavor such as Kool-Aid, Jell-O, flavored extracts, etc. You can also substitute your own rice syrup or agave nectar for the corn syrup included in the Gum Kit. So, anything goes! And, since we haven’t tried all the possibilities, we’d love to hear how your experiments turn out. Will my gum from the Make Your Own Chewing Gum Kit have a candy coating like Glee Gum? Sorry, no. The Gum Kit produces gum similar to the center of Glee Gum pieces, but without a candy coating. If gum base from the Make Your Own Chewing Gum Kit gets stuck on something, what should I do? Gum base is very, very sticky when mixed with corn syrup. We provide you with a disposable pan because of this. DO NOT USE ANY OF YOUR OWN PANS OR SPECIAL UTENSILS! Gum base is very difficult to remove. We recommend melted butter to dissolve the corn syrup. You can also try commercial products like Goo-Gone or Citra-Solv. How many candies do the Make Your Own Candy Kits make? The Make Your Own Chewing Gum Kit makes between 30 – 50 pieces of gum, depending on how you cut it. Rolling it into small gumballs makes more pieces than cutting it into strips. The Make Your Own Gummies Kit makes about 15 gummy candies. The Make Your Own Chocolate Kit makes about 20 chocolates. How long do the Make Your Own Candy Kits take to make? It takes 20 – 30 minutes to make each kit. Can I make the Make Your Own Gum Kit without sugar? You are more than welcome to try! However, we have not found a sugar substitute which works as well as confectioner’s sugar. The problem is that the confectioner’s sugar serves two purposes in the Gum Kit– to sweeten the taste and to smooth the texture. Because sugar substitutes tend to be considerably sweeter than natural sugar, much smaller amounts are needed to sweeten the taste—and, in turn, leave the texture a bit too sticky. If you find a creative solution to this problem, please let us know! Can I use rice syrup instead of corn syrup in the Make Your Own Chewing Gum Kit? Yes! In fact, that’s what we use in our Glee Gum. You can also substitute agave nectar if you prefer. In the Make Your Own Gummies Kit, what are potassium chloride, agar, and carrageenan? These three ingredients help to change the gummy candies from a liquid to a gel form. Potassium chloride is a salt, while agar and carrageenan are derivatives of seaweed. If the sour mix in my Make Your Own Gummies Kit looks clumpy, is it still OK to use? If your sour mix appears clumpy, don’t worry. Subtle changes in humidity can sometimes have this effect. Your sour mix is still perfectly safe to consume. Simply rub the packet of sour mix between your hands to break up the clumps and proceed with the recipe. It should work – and taste! – just fine. If you’d like, you also can add a spoonful of granulated sugar from your pantry to the mix. That should smooth the texture even more. Can I buy Gum Kit refills? What do I get in a refill kit? Yes, Make Your Own Chewing Gum Refill Kits are available! They come with 4 ounces of gum base (double the amount in the original kit), a microwaveable pan, and instructions. Read More. Which retail stores near me carry the Make Your Own Candy Kits? The Make Your Own Candy Kits tend to be sold in specialty stores, like toy stores and museum gift shops. If there is a store near you that you think would be a great match for our Candy Kits, please email us about it at info@gleegum.com! And, if there isn’t, please feel free to order online from us. Can I buy gum base by itself, in bulk? Yes! If you are interested in purchasing more than the 4 oz. available in the Refill Kit, you can also buy our Gum Base by the Pound. In addition to its gum-making abilities, gum base can be a useful tool for smoking cessation and for patients on the ketogenic diet. Read More. Are the Glee Tarts gluten-free? Yes, Glee Tarts are gluten-free! The Glee Tarts are made with xylitol that is ether derived from maize starch and/or wheat starch hydrolysis. Our xylitol manufacturer claims their ingredient is suitable for those with celiac disease because the wheat gluten content is lower than 20 ppm. To further guarantee the safety of Glee Tarts for those with a gluten intolerance and/or allergy, each lot of Glee Tarts is tested for gluten and is found to contain less than 2.5 ppm of gluten, a threshold 8 times stricter than the FDA. Are the Glee Tarts non-GMO? Yes, Glee Tarts are made from ingredients that are not genetically modified according to the Non-GMO Project Standard. The Glee Tarts are in the final stage of approval by the Non-GMO Project. Are the Glee Tarts calorie-free? Yes, Glee Tarts are calorie-free. This is based on a serving size of 2 pieces. How much Xylitol is in each Glee Tart? There is about 0.55g (0.02oz) of xylitol in each Tart. Are Glee Tarts safe for pets? Glee Tarts are not safe for dogs and we say so right on our package! We strongly recommend keeping & storing Glee Tarts out of the reach of canines (the same way you do chocolate). If your dog somehow manages to get ahold of your Glee Tarts, please call your veterinarian and/or the ASPCA Animal Poison Control Center’s 24-hour diagnostic & treatment hotline at 888-426-4435 as soon as possible. Please be aware that xylitol can be found in other products too, including some candy, mints, vitamins, mouthwash, toothpaste, peanut butter, and more. Keep your eyes peeled for it on ingredient lists and protect your pooch! Read more. Can I eat a whole box of Glee Tarts at once? Eating a whole box of Glee Tarts in one sitting, while tempting, is not advised, because it could cause gastrointestinal distress. The main ingredient, xylitol, a sugar-alcohol, is not entirely absorbed by the body and some ends up in your intestines where the good bacteria that lives there begins to ferment it. This is a safe process, but according to the FDA it could lead to symptoms such as bloating, gas, and even diarrhea. Each person’s body reacts to xylitol differently so there is no way to scientifically determine how much xylitol produces these unwanted adverse effects. Some people are not affected at all, while others are only affected after consuming a large quantity. The best advice we can give you is to enjoy your Glee Tarts at a pace that is right for you! Where can I buy the Glee Tarts? Glee Tarts are sold all over the US and Canada. If you are a US customer, visit our store locator to search for stores near your that carry Glee products, and then use the helpful product search feature to narrow down stores that have purchased the Glee Tarts in the last six months. We always recommend that you call ahead to make sure the product you want is in stock! Why do my Glee Tarts look wet? Xylitol, the main ingredient in Glee Tarts, is hygroscopic, meaning that it readily absorbs moisture from the air. We wrap each individual box of Glee Tarts, which provides a moisture barrier between the Glee Tarts and the air around them. As soon as you unwrap your Glee Tarts you may find that they darken in color a little. This is okay! It’s just because they are absorbing some moisture from the air. We recommend storing them in a cool dry place to prevent this from happening, but if it does, you needn’t worry, they will still be the same delicious tasty treat! Magnesium Stearate is known as a release agent and is needed in the production of tableted confectionaries, because it keeps the powdered mixture of ingredients from sticking to the machine parts that forms the tablets. The FDA has determined that Magnesium Stearate is Generally Recognized As Safe (GRAS) for human consumption in quantities of less that 2,500 mg/kg/day. A 160 lb human being would need to eat 24,360 Glee Tarts in one day to reach this threshold! Our Magnesium Stearate is a mixture of solid organic acids derived from vegetable fatty acids, which in our case comes from palm oil. Why are some of my Glee Tarts chipped? The Glee Tarts have made a long journey from production to your hand! They are produced in the western United States, shipped to our fulfillment specialist in the Midwestern United States, and then to distribution warehouses across the country. Finally, they get shipped to stores, or directly to you. All this travel might have caused a few to crack or sheer. We hope that most of your Glee Tarts have held up well and hope you find all the pieces to your liking! Are the Glee Tarts Kosher? The Glee Tarts are certified Kosher by KOF-K and are happy to supply the certificate upon request. Are the Glee Tarts good for my teeth? Xylitol is metabolized much more slowly that sugar, and the acid that it produces does not break down enamel. It, therefore, does not pose the same risk for tooth decay as sugar. The xylitol used in the Glee Tarts is derived from non-GMO strains of maize or wheat grown in the European Union. Want to see how our gum gets from tree to Glee? Watch it here! Would you like to learn more fun facts about chewing gum? Enjoy ’em right here! More questions, comments, stories, requests? Contact us at info@gleegum.com. Thanks!